Not every day is full of bliss, there are some pretty trying days. There are days when you feel like you are a bad mom. There are days that try your patience especially on the days full of tantrums and the days that you have said no for the 100th time. Some days you feel like you are not accomplishing anything and just want to give up. Some days you are down in the dumps and just plain out depressed. Fear not there is hope! Pray! Pray! Pray! - God is always here to help. Days like these are the days when we need God the most. 2 Corinthians 12:9 says "My Grace is sufficient for thee: for my strength is made perfect in weakness." Trust in God and Rely on him and you are sure to see a better day. Calm Down- Take a break, walk into another room and fix yourself some coffee. Whatever you do, try to relax yourself. Don't take your stress out on the child. Screaming does not accomplish anything! Stop! - Make time for yourself- A worn down mom is not doing her children any good. You are actually causing more harm than helping. When mommy is stressed, the children can sense it and it makes them agitated as well. Any of these ideas are great ways for moms to relax. Don't feel guilty over making time for yourself. 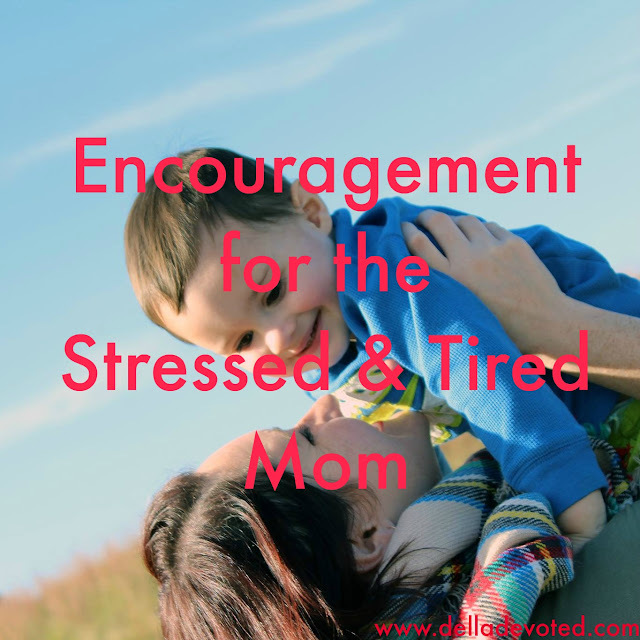 A relaxed and refreshed mom is so much more beneficial to herself and her children. Do Something Fun!- Do a fun new activity with your children or take them to a new place. Children get bored too! I can assure you this will refresh both mom and kids. Schedule Play Dates- This gives children the chance to play with other children and gives mommies adult interaction too. Mom's have to have adult interaction, if not they will go crazy. If you can't get away to go somewhere alone with your friends, include them into activities with your children. Play dates are the perfect solution. I highly recommend my friend Keri Snyder's new book Why Just Survive When You Can Thrive: Tips for Thriving as a Mom. This book is a must read for all mothers! It is full of wonderful advice! Don't let Satan steal the joy of motherhood. Stop him in his tracks! Turn your situation over to God and he will see you through.